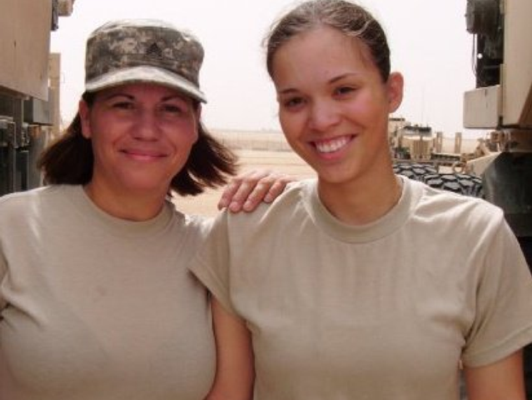 Mother And Daughter Form Soldiers' Bond In Iraq Sgt. Marilyn Gonzalez and her daughter, Spc. Jessica Pedraza, served together in Kuwait and Iraq from January until December of 2010. But they weren't supposed to go together — the daughter made it happen. Sgt. Marilyn Gonzalez and her daughter, Spc. Jessica Pedraza, served together in Kuwait and Iraq from January until December of 2010. But they weren't both supposed to go then. They were in the Massachusetts Army National Guard, in the same company. In 2010, Gonzalez was ordered to deploy to Iraq, but her daughter was not. Pedraza decided to put college on hold and changed her job in the military so that she would be sent to war with her mom. 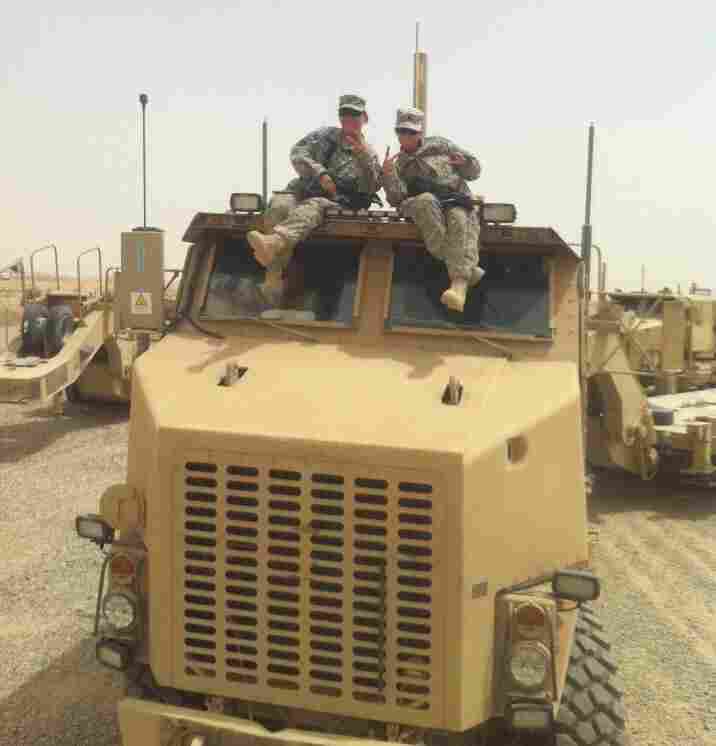 The unit didn't need supply specialists, but it did need a truck driver. "When you told me that you wanted to deploy, I was so angry," Gonzalez, now 44, tells her daughter. But Pedraza, now 22, says she couldn't stay home worrying. "Whenever I would go out on a mission, you would go in my room and make my bed," she says, "and sometimes you would come back from your missions and catch me sleeping on your bed." Gonzalez says she was teased, "but it was hard not to be a mom." She had to fight the urge to hug her daughter every time she saw her. Pedraza would kiss her mom on the cheek and rush away, saying, "I love you, Mom." One day she said it on the radio. "I said, 'Roger, I love you.' And I remember, somebody interrupted and they were like, 'Hey, none of that over the radio!' And then I heard you just say it right back," Pedraza says. Gonzalez says she could never express how much it meant that her daughter was willing to put her life on the line for them to be together. Pedraza knows her mom was upset at first that she chose to pass up college acceptances. "But I think that we have the mother and daughter bond, and we have a soldiers' bond," she says. "There's just nothing more you can ask for." Both are still active in the Massachusetts Army National Guard. 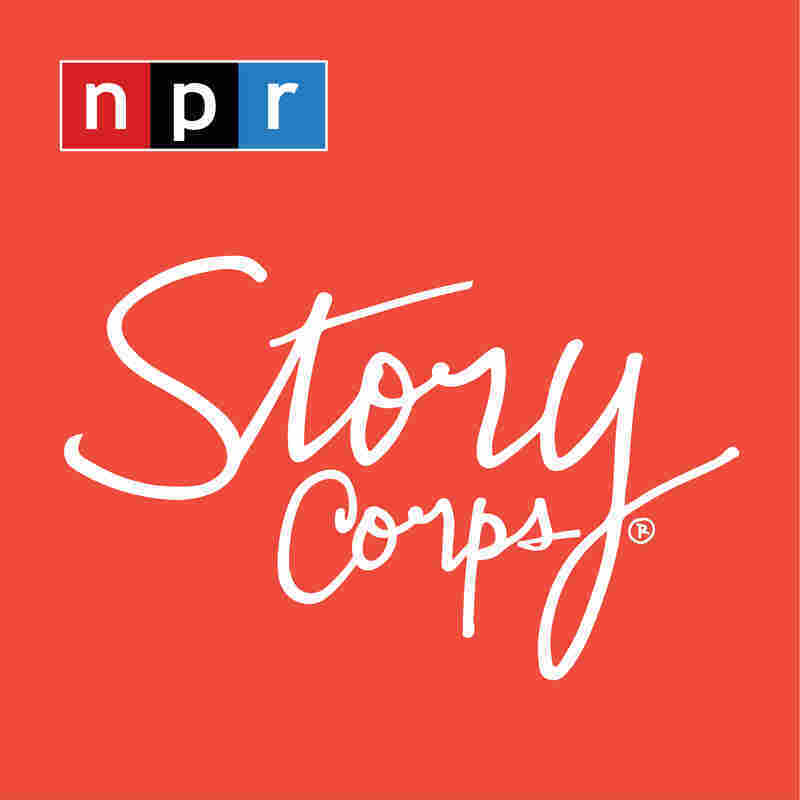 Audio produced for Weekend Edition Saturday by Anita Rao with Yasmina Guerda.